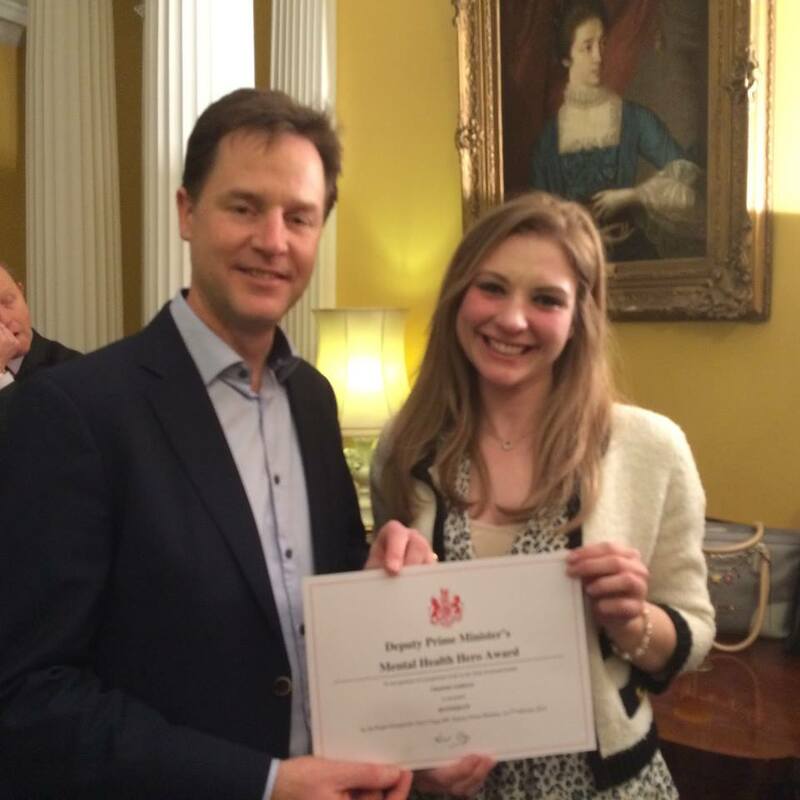 AcSEED founder Charlotte has received an award from the Deputy Prime Minister for her services to Mental Health, and in particular for setting up The AcSEED Initiative which recognises schools providing high quality emotional wellbeing and mental health support. The awards were presented at a reception in Whitehall to mark 'Time to Talk Day', an event organised by the charity Time to Change where people were encouraged to take 5 minutes out of their day to talk about mental health and help bring it out of the shadows. "I'm thrilled to be part of this inspiring event" said Charlotte, "... and humbled to receive this award". The reception included an address by the Deputy Prime Minister which highlighted some of the challenges in tackling mental health stigma. "I was particularly pleased to hear Nick Clegg highlight the importance of addressing the mental health of young people" continued Charlotte, "... and I hope that AcSEED will play an increasingly important role in supporting these aims".